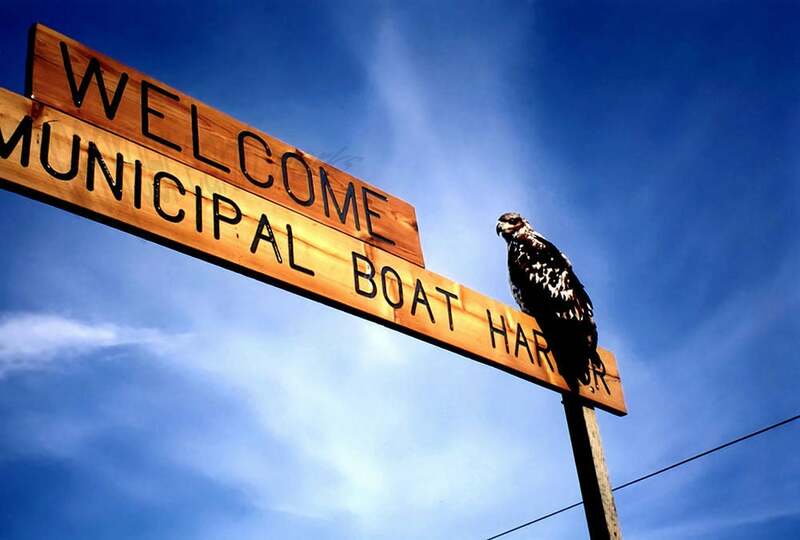 This was a surprisingly calm immature bald eagle perched atop the welcome sign at the Seward Municipal Boat Harbor. No extraordinary zooming measures were taken to achieve this photograph; the camera was about 20 feet from the bird. Photograph was taken in Seward, Alaska, USA. Image is 3600 x 2430 pixels.